The Gas Distribution Networks have taken over this competition. We are sad not to be running it still but very glad that it is continuing! There was a prizegiving event at the Macmillan room Portcullis House on the 29th June 2017. The winners of the 2015-16 competition have now been chosen and notified. The Gas Distribution Networks worked in partnership with CO-Gas Safety this year but next year the GDNs will take over the competition. CO-Gas Safety would like to thank everyone who has helped over the years, especially Heather Tomlinson and the teachers and pupils who have kindly used their time and taken part. The whole point of the competition was to inspire the industry to do something similar and finally they have done so! We are very grateful to the GDNs.. However, if only the rest of the industry would do more! For example prime time TV warnings about CO.
We will be adding the websites of the GDNs to this page so that those who wish to take part in the next competition will do so as soon as we are given these website details. Meanwhile do please contact your own GDN. We have chosen the winners of the 2014-15 competition and have notified them Congratulations to the winners! We have asked our winners to keep this confidential for the time being because we think there might be an event organised by our sponsors in the Autumn. I am sorry if you have not won this year but we are very excited about next year’s competition because although posters from ages 10-11 will still be extremely welcome, we may be extending the competition to the lower age groups as well and we may be changing the format to allow other sorts of entries e.g. films. The 2015-16 competition is now open. See How to Enter. ‘It is a pleasure to be involved in spreading such a vitally important message about CO dangers.’ Gethin Jones, Llantrisant Welsh Community School We held our 20th anniversary event at the House of Lords on Tuesday 27th January 2015 Winners of the 2013-14 Competition Winner for the North of England Sephora Ford. Age at entry 11 School: Sheffield High Junior Teacher: Sarah Groombridge Winner for the South of England Chihiro Nagano. Age at entry 11. School Stephen Perse Foundation Junior Teacher Mr Gordon West (Chihiro’s teacher), Science Co-ordinator Winner for Scotland Finlay Kettles. Age at entry 11 School Coupar Angus Head Teacher: Margaret Cameron. Winner for Wales Naomi Rahman. Age at entry 11 School: St Patrick’s Roman Catholic Primary Teacher: Sarah Michael We held our event at the House of Lords on Tuesday 28th January 2014 and given the prize winners their prizes. Do see the winners here. It was a great success with about 110 people attending. The winners and their posters will be put up on the website shortly. Thank you to all those who entered and who attended our event and made it happen! Winners of the 2012-13 Competition North of England Daniel Ely. 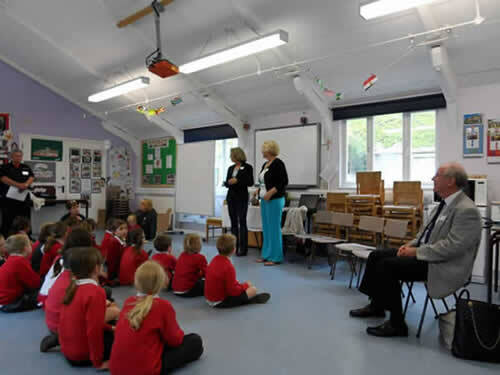 Age at entry 11 School: Kirton Primary School, Boston, Lincs Teacher: Mrs Sharon Clarke MP for the School, Mr Mark Simmonds MP MP for the Winner, Mr. John Hayes MP South of England Amber Nabney. Age at entry 11. School: Kinson Primary, Bournemouth Head teacher: Miss Victoria Bryan MP for the School, Mr Connor Burns MP Winner for Scotland Kirsty Braynion. Age at entry 11 School Our Lady & St Anne’s Primary, Hamilton Teacher: Mrs. Marie McIntyre MP for the School Mr Jim Hood, MP MP for the Winner Mr. Tim Greatrex MP MSP for the School Ms Cristina Mc Elvie, MSP Winner for Wales Tesni Marcelsanca. Age at entry 11. School: Llantrisant Welsh Community School Teacher: Mr Gethin Jones MP for the school, Mr Owen Smith MP MP for the Winner, Huw Irranca-Davies, MP A Big Thank You to the Sponsors of our Competition & those who have helped us through the year Scotia Gas Networks, which is very kindly sponsoring the competition for Scotland and the South. SGN also kindly paid for our advertorial about the competition in First News. Wales & West Utilities which is kindly sponsoring the competition in Wales. Northern Gas Networks which is kindly sponsoring the North of England. National Grid which is kindly sponsoring for the first time and paying for the House of Lords tea. Honeywell which has again kindly supplied us with alarms to EN 50291 this year. British Gas which has sponsored our badges. Also thank you to those who have generously given to us throughout our 19 years in particular:- The Guild of Master Sweeps, who generously gave us a donation last year. Roland Johns, who has worked so hard to put the course for aspiring registered gas installers together John O’Leary, who made the course possible by drawing more pictures for the course. BPEC – which has certificated our course about CO for aspiring registered gas installers Danielle Royce & Cerys Canning – who have helped with this event. Kane International – which has kept us going generally. The winners of the 2012/13 Schools Poster Competition to raise awareness of the dangers of carbon monoxide poisoning and other gas dangers have now been informed, but we are not publishing the winners until our event at the House of Lords on Tuesday 28th January 2014 from 3.30 p.m. to 5.00 p.m. Thank you to all those who entered and please spread the word and ask any pupil in Year 6 aged 10-11 to enter next year in England, Scotland and Wales. Invitations will be going out soon. 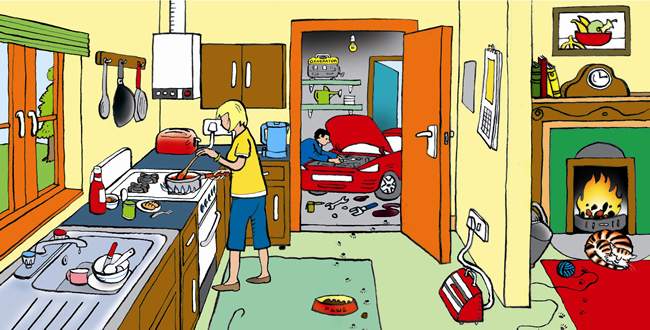 Updated 09.12.13 BUT the 2013/14 Schools Poster Competition to raise awareness of the dangers of carbon monoxide poisoning and other gas dangers is now OPEN! Closing date 31.07.14. Schools Poster Competition 2012/13 Closing Date: 31/07/13 Brancaster Primary School ‘Carbon Monoxide Awareness Event. More picures from this event can be found here. The aim of this poster competition is to raise awareness of the silent killer, carbon monoxide poisoning and how to prevent it and other fuel toxins, thereby save lives and preserve health. The poster competition is for one year group which is usually the last year of state primary school (Year 6, i.e. Aged 10-11). However, the competition can be entered by any child in that year group so children who are, for example, home educated can enter but need to nominate an education establishment or authority to receive the ‘school’ prize. Other groups, such as youth or art groups can also enter. See Rules for details and do contact us if needed. SOUTH ENGLAND – sponsored by Scotia Gas Networks which includes Southern Gas Networks. Closing Date: 31/07/13 PLEASE NOTE THAT ALL ENTRIES MUST BE PHOTOGRAPHED OR SCANNED THE RIGHT WAY UP AND MUST HAVE THE NAME OF THE PUPIL AND THE SCHOOL ON THE POSTER ITSELF. The reason for this is that judging is impossible without these details on the actual poster. PLEASE DO NOT SEND ORIGINAL POSTERS AS THEY CAN GET LOST IN THE POST. Don’t forget to read the TIPS for designing the poster (see below). The prizegiving event will be held in the last week of January 2014 and winners must be available to attend. 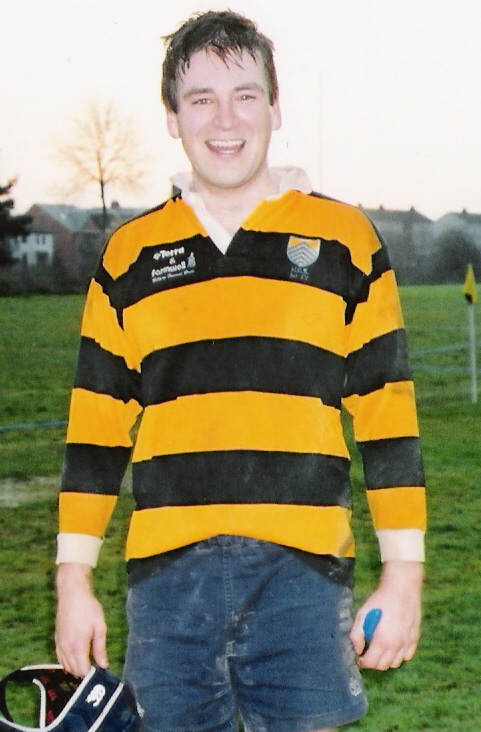 Ed Tomlinson after a successful game of rugby in an Old Boys match. The Schools Poster Competition is dedicated to the memory of Edward Tomlinson, who died of carbon monoxide poisoning in the Lebanon. Our particular thanks to Heather Tomlinson, Ed’s Mother, who kindly ran a pilot project of this competition for us.